An earthquake measuring 7.5 magnitude on the Richter scale hit Saravan city in Iran’s southeastern Sistan and Baluchestan province. 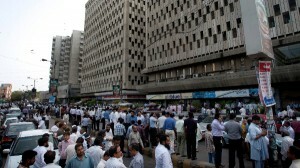 The quake was detected at 3:44 p.m. local time in the Iran-Pakistan border area. Iranian state media have not confirmed any deaths, despite an earlier report by Press TV that at least 40 people had died. The epicentre, with a depth of 18km, was initially determined to be at 28.04 degrees north latitude and 62.03 degrees east longitude, according to the report. Shockwaves were felt in neighbouring countries and in India’s capital New Delhi.